More awards in the collection. This time an Indonesian short time award. Work all 10 call area get gold award. 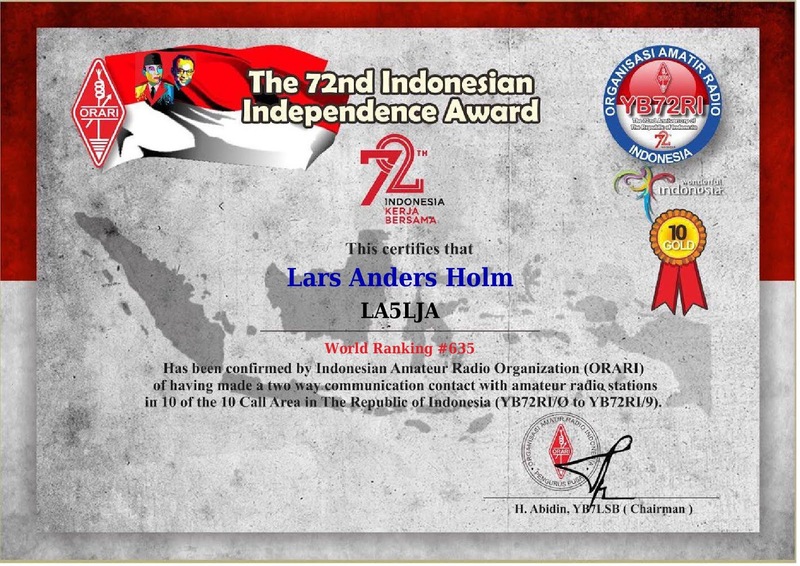 A lot of activity from Indonesian Radio ham's. 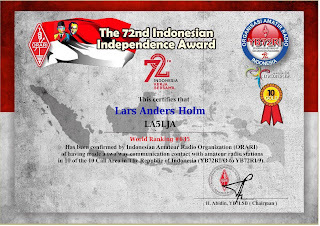 Very easy to make qsos from Norway.